Are you ready to start planning or need a little more information? 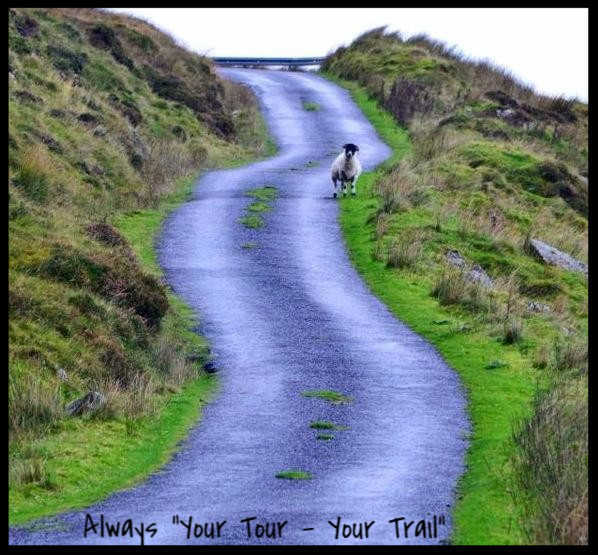 Are you a travel agent looking for those special Irish tours that you can trust your clients will enjoy rain or shine? Contact us today and let us help you customize your privately guided and chauffeur driven Irish Adventures! We recommend you not hesitate and instead book tours early as the most desirable dates, particularly in high season, go quickly. We look forward to welcoming you on tour in 2019! Or call Killarney Guided Tours at +353 (0) 872309567 for further information. 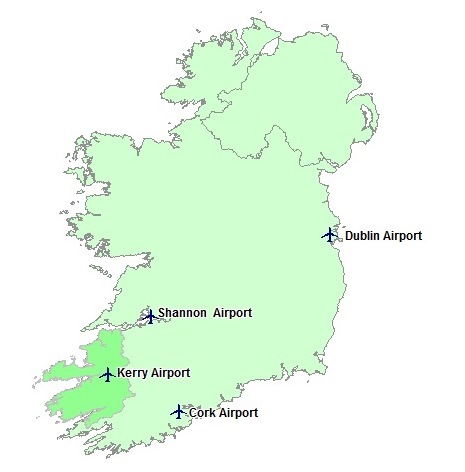 The above location of Ireland's four modern airports (not including Belfast and Knock) will give you an idea of where you might wish to begin your Irish Adventure with Killarney Guided Tours. While each appears close to the other, and Ireland is a relatively small country, it is best to plan your touring route with the guidance of an experienced tour provider such as Killarney Guided Tours so as to best utilize your precious time. We can also assist in recommendations for combining the fantastic Irish rail system (www.irishrail.ie) with privately guided and chauffeured touring. We look forward to creating anything from a day tour to a dream vacation to cover as much, or as little, of this magnificent country with us.